Why Neptune’s Arrow? Well, because I can’t decide what it reminds me of more - a school of fish swimming around, or arrows pointing in all directions. So… Neptune’s Arrow it is. Some friends have also said how much it looks like snow capped mountains… or trees! I love that, and I love this stitch. 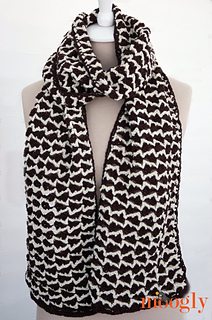 And this scarf is the perfect pattern to try it out with. 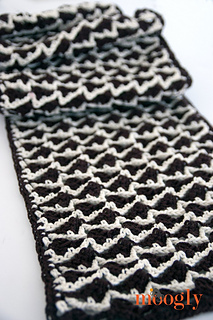 Neptune’s Arrow Scarf is incredibly luxurious and it’s perfectly unisex as well. 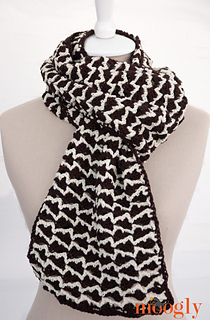 I love the sophisticated look of this scarf, as well as it’s versatility. While I left it with two ends, as a traditional scarf, you could easily whip stitch the ends together to create a modern infinity scarf - and I’ve included instructions for that as well!